What is online tuition and is it effective? A guide for parents. Five years ago as a classroom teacher, I was sceptical. Now, I know that online tuition is as effective as face-to-face. Read on to find out why. Search for ‘online tutor’ and you’ll get an idea of the way that this relatively new form of learning has taken off. Competing for space on page one of Google are huge international directories boasting millions of tutors that work like online dating sites; type in a subject and level of study, sift through matching tutor profiles, pick the one you want, agree times and you’re away. Jostling for position with them are smaller boutique agencies offering a more bespoke service. They tend to carry out more rigorous vetting of tutors, and will carefully match your child with the right tutor. Also in the mix are independent professional tutors like myself, collectively making up a growing online tuition market valued at an estimated $8bn (doubtless an overestimate, but even if we half it, it’s still a whopping-sized industry). What is propelling this growth? It’s a natural consequence of the so-called ‘academic arms race’ (increasing competition for the best schools and universities) and the Facebook generation. Online tuition is big, the market is growing (explosively according to analysts), but is it effective? Let’s first look at some basics. What online tutoring software is needed? What equipment is needed for online tuition? Online tuition is one-to-one tuition where tutor and student are not in the same room, or even the same continent. Online tuition and face-to-face tuition are often compared, but it’s worth noting that online tuition uses live streaming video, so student and tutor are face-to-face, just not physically. A better comparison would be online versus in-person tuition. Tutor and student connect through an online platform that allows them to see each other, hear each other, share documents, and collaborate on problems together. Desktops can be shared so each can see what the other has on their screen. A tutor can present a PowerPoint and annotate slides whilst the student watches and takes notes. Or, a student can load a question they’re stuck with, share their desktop and ask the tutor to guide them through it. It’s normal to use an online whiteboard, which is an interactive space where tutor and student can collaborate. Either can write, sketch, or drag-and-drop documents onto the whiteboard ready for annotation. It’s easy to load an exam paper and then answer it together using either a digital pen, or by simply adding text boxes. My favourite collaborative whiteboard is bitpaper (go here to try it out, it’s free!). Online tuition is often portrayed as some new-fangled, highly-technical activity needing sophisticated software and equipment. The truth is, all you need is a platform that allows two people to see and hear each other and share documents. This is something people in the world of business started doing and then perfected decades ago, so it’s no surprise that business videoconferencing platforms like Skype, Zoom, WebEx, Adobe Connect and newcomer Google Hangouts have been adopted by online tutors. 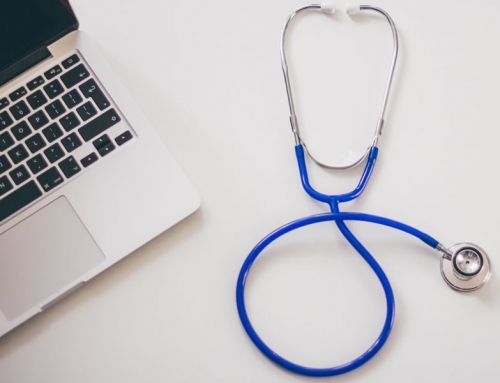 There are more sophisticated solutions, such as learning management systems (LMS) allowing delivery and management of complete online courses, but for most tutors and their students, a free Skype account will do. Obviously you need either a desktop computer or laptop. Online tuition can work using a tablet or phone but squinting at a small screen isn’t ideal. For best results, student and tutor should be settled in one location, looking at a decent-sized screen, with hands free to write or do calculations. A headset is necessary, so you can hear and be heard. I use a Jabra headset, most of my students use something similar or their phones’ hands-free kit. Some tutors prefer speakers and a desktop microphone. It’s down to personal choice. A webcam is also mandatory. The ones built in to most laptops and monitors are fine, but if you don’t have that, decent USB webcams start at around £25. The trouble with these statements is they don’t define what they mean by effective. I define effective tutoring as improving students’ confidence and grades. Based on that definition, online tuition is just as effective as ‘face-to-face’ for the sciences. I understand the sceptics because as I said earlier, I was one at first. When you’re used to classroom teaching, it’s difficult to see how you’d be able to reproduce all the things needed for effective learning in a virtual environment. But after begrudgingly agreeing to try it with a student of mine, I’ve never looked back. Let’s now analyse some of the advantages, disadvantages and myths surrounding online tuition. It’s difficult to disagree with this claim. The online network of tutors spans the globe, so you have the choice of hiring the best tutor, not just the tutor that’s within driving distance. This extra choice can prove to be a huge advantage for niche subjects, or students in places where there aren’t that many local tutors. More choice is also an advantage for popular subjects, such as the sciences. For example, if I search for a GCSE chemistry tutor on one of the larger tutor directories, I find that there are just 31 in my area. If I search for online tutors though, there are more than 12,000! Another oft-cited advantage that I can’t dispute. Traditional face-to-face tuition needs either student to travel to tutor, or vice versa. That means travel time must be factored into scheduling and costs (the tutor will normally charge their travel costs to the parents). Removing the need to travel 20-3o minutes for a lesson is a big advantage for tutor, student and parent, particularly if you’re a busy parent that doesn’t have time to ferry your child back and forth for tuition. Online tuition requires two people to be online at the same time, which is far easier to organise than arranging for two people to be in the same place at the same time. It allows for short lessons, longer lessons, multiple lessons per week, lesson arranged at short notice, quick revision lessons on Christmas day (I wish I were kidding! ), and lessons to be booked en route to your holiday destination. There is no doubt that scheduling flexibility is one of the major advantages of online tuition. True also, provided ‘anywhere’ is a place with an internet connection. I’ve tutored students whilst they were on a skiing holiday in the Alps and in a Dubai cafe (proving my students have a better lifestyle than I do!) The point being, you can be anywhere in the world and if you can get online, your tutor can be there to help. Unless you’ve been living under a rock, you will have noticed that young people love technology and love being online. I have misgivings about the number of hours that teenagers devote to staring at their screens, but if they’re going to stare at a glowing screen for hours, isn’t it better if they take something positive away from it? Online learning helps with engagement, because an online tutor has at their fingertips a host of apps, animations, games, and video that they can instantly call upon. These things draw the student in. Even the interactive nature of online whiteboards, on which you can scribble, highlight and label diagrams, can inject some much-needed zest into a dull topic. The benefit with online tuition is that your audience is captivated and engaged, which makes learning more likely to happen. This could go into the ‘good for the student, maybe not so good for the tutor’ category. Nowadays, if you work online, it’s difficult to not be always online. How many of you find yourselves constantly checking for emails from colleagues, or from your boss? Now imagine you’re interacting with people that are barely offline – schoolchildren and students. I take an ‘always available’ approach with my students, meaning they are free to message me via text, Whatsapp, Facebook, Skype or email whenever they feel like it. It’s common for me to receive scanned questions wanting me feedback at 8am on Sunday morning, or a text asking for something to be explained late at night. I oblige because technology permits this level of interaction and it’s beneficial for my students. The argument is, since online tuition saves on travel costs, the tutor can pass those savings on to the client as a lower hourly rate. However, the view I take – and that of most professional tutors I know – is that clients are paying for my time, which I value at the same rate whether I’m there in person or online. I don’t therefore agree with this one. The argument here is that because you’re not leaving your child alone with an unknown adult, then they are at reduced risk. I agree with this, but children unfortunately do come to great harm online. Parents must be vigilant in asking to see references and criminal record checks for online tutors. A definite boon this one. Coughs and colds spread through schools like wildfire and every teacher knows that once the new school year is underway, it’s only a matter of time before the sniffles start. Tutors are in the same position. One of the advantages of no contact is it means no more catching whatever is going around. This was my biggest worry before trying online tuition. Thankfully, it’s not true. If you couldn’t see or hear the student, you would lose the vital cues – body language, posture, tone of voice etc. – that tell you whether they’re understanding or not. Except that you can see and hear the student since you have live audio and video. Assessment of progress for online tuition is no different to in a classroom. You ask questions and listen to the responses; you work through problems and look for misconceptions or knowledge gaps; between lessons, you set homework that you mark and periodically, you test the student. We are social animals, and we rely on physical interactions to form relationships. Back when people really started connecting online, there was scepticism over whether it was possible to form meaningful relationships without those interactions. That turned out not to be true; people form great friendships and even fall in love online. I don’t personally believe online interaction is as meaningful as face-to-face, but the question here is does lack of physical interaction hinder learning? No, it doesn’t. Teaching is highly effective and students make excellent progress. Plus, you can get to know students very well online and have fun. A really good way to overcome the intercontinental gulf and connect with online students better is show them pictures of where you live. I’m lucky to live on the stunning north east coastline so have a few pictures saved in a presentation that I show my overseas students. They are always eager to return the favour and show me pictures that capture the sense of the place they live. Fellow tutor Atul Rana talks about this in his blog here – through online tuition, he’s witnessed sunrises in San Francisco and sunsets in Bali! 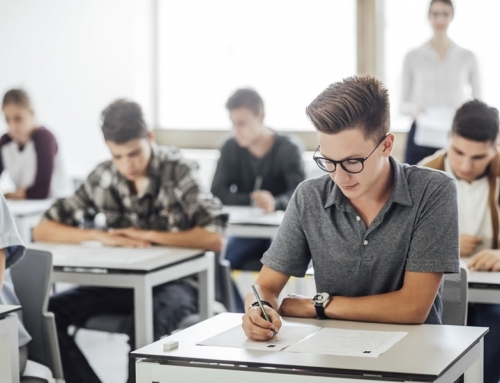 Notwithstanding that, I do have to admit that with online tuition, you lose the ‘buzz’ of the classroom – the energy and enthusiasm that comes from being around young people in a learning environment – though that’s more about classroom teaching versus tutoring. Also, online tuition is very business-like and can be quite intense. You login, connect and bang! within 30 seconds you’re learning. Classroom teachers that think every second of a lesson should be devoted to learning would love it. Certainly, a stable internet connection is necessary (rural locations can be problematic), as is a modern computer that won’t crawl to a standstill if you have too many applications running. In terms of unreliability, the most likely risk is network failure, which based on my experience of tutoring students in 16 countries is no longer an issue in 2018. You can teach students about apparatus and techniques from a theoretical perspective online, which helps them to prepare for practical exam questions. However, for GCSE and above, where students need to get ‘hands-on’ and work in a properly-equipped laboratory under supervision, you are left with videos and simulations, which is no substitute. This is a disadvantage for me. I don’t have the right experience to properly address this one as I’ve never tutored children younger than eleven. I imagine with much younger children, there could be issues with engagement, focus and possibly even behaviour without the physical presence of a teacher. That said, online tuition for primary children is a large market, accounting for 12% of all online tuition according to one survey. It’s also common practice for parents to participate in online lessons with much younger children, suggesting it’s perfectly workable. Is it as effective as face-to-face? Yes, I’ve found it delivers excellent results. Does it improve students’ confidence? Yes. Is it suitable for all ages? I don’t think so, but I have limited experience – other tutors might disagree. For me, the results speak for themselves and after years of perfecting my skills as an online tutor, I have no doubt that online tuition is an effective and enjoyable way for students to learn. 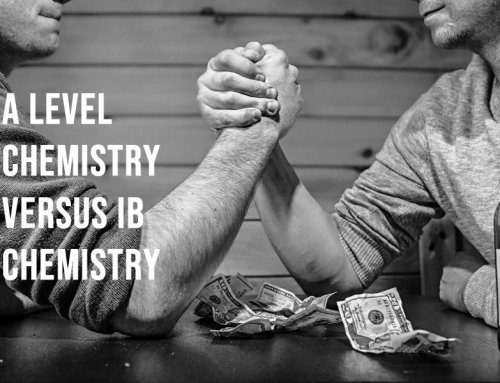 Is IB chemistry harder than A Level chemistry? 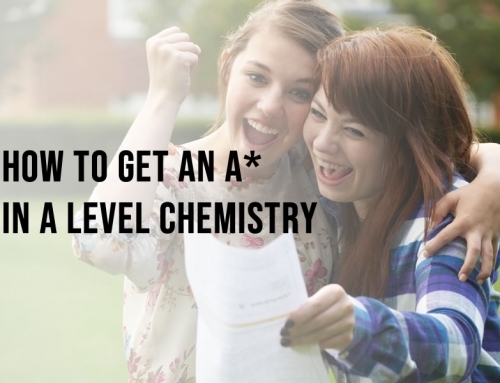 Is the new 9-1 chemistry GCSE harder? Great post Carl. It is great to see more and more posts that debunk the idea of online tutoring being second best to in person. Online tutoring creates a new virtual plane of learning between student and tutor. I find that this third learning space is far better than the physical learning space. In fact three years ago I started to get frustrated with in person tutoring in how inefficient it was in comparison to what I was doing online so I decided to put a stop to tutoring in person. Thanks for mentioning me on the blog post too. I find that getting an idea of the physical space, both indoor and outdoors where the student is at and for the student to get used to my space too is a great way to form rapport. There are other ways to form rapport online and the notion that one can’t build a good student-tutor relationship online compared to in person is utterly ridiculous! Younger students prefer not having an adult 2 to 3 times their size right in front of them. Thanks Atul. Too much of the stuff written about online tuition is either penned by people with zero experience of it who are simply airing preconceptions, or by folk with an obvious agenda to rubbish it in favour of face-to-face tuition. I find it’s a very efficient and effective way to teach and my students that have tried both either tell me they like both styles of tutoring, or prefer online. It’s definitely possible to build a great rapport online and have a laugh with students in lessons too! What are ionic equations and ionic half-equations? I'm a fully-qualified teacher, examiner and professional tutor providing online chemistry tuition and resources for GCSE, A Level, IB and university level.